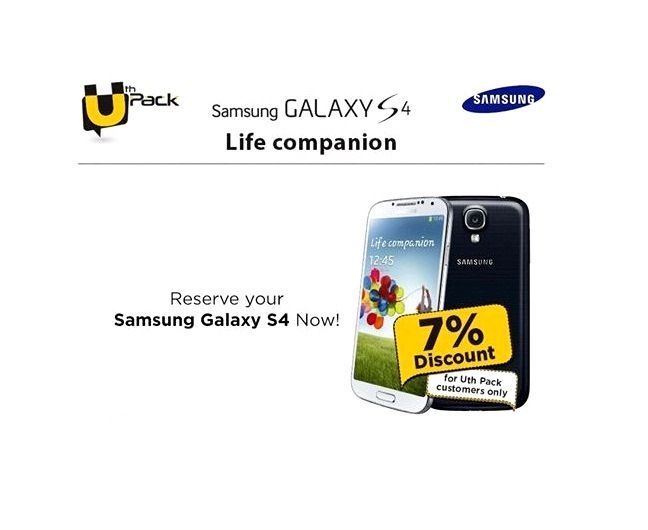 Uth Pack is fully loaded with amazing discounts; it also offers a chance to win Samsung Galaxy S4 to its customers. This special discount is combined with bundle packages. 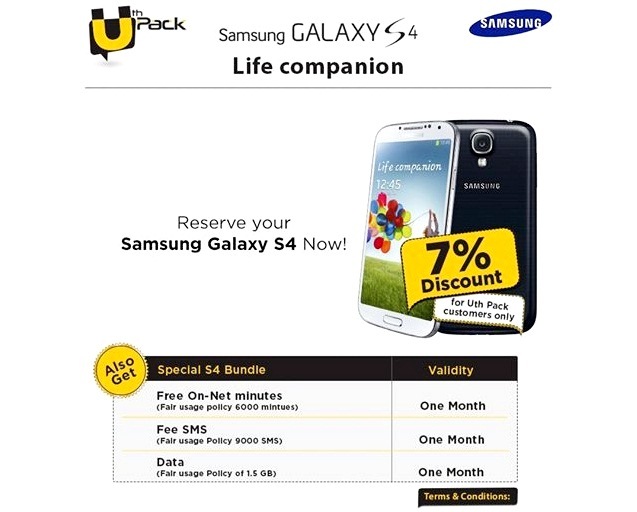 Uth Pack customers should get ready to get a 7% discount on reserving Galaxy S4. In addition, the customer will also get ‘Free calls, Free SMS & Free internet’ for the whole month.